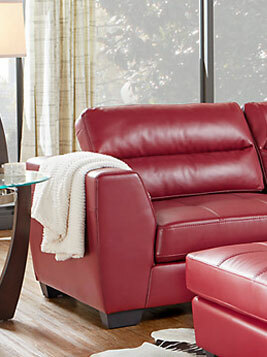 When purchasing a couch, many considerations come to mind, including budget, size, and style. In order to find the perfect fit, sofa seekers should also ask themselves detailed questions, like "how high should my couch be?" While most people tend to think of size with respect to how many people a sofa can seat, the look of the piece relative to ceiling height, existing decor style, and other pieces of furniture are equally important factors. To determine these height-dependent variables and score the perfect sofa, all you need is a tape measure. The inside height of a couch represents the length of the piece from the top of the seat cushion to the back, while the outside height is the total height from floor to highest point of the back. Seat height is the distance from the floor to the top of the seat cushion. While seat height has the most impact on seating comfort, inside height and outside height can determine how well a sofa fits into your room. An average outside measurement is 36 inches, and inside ranges anywhere from 19 to 21 inches. These couch sizes look best with standard, eight-foot ceilings and can be placed anywhere in the room. On the other hand, couches that sit 40 to 44 inches high work best with 10- to 12-foot-high ceilings, and should be set against walls to avoid looking out of place. Style preferences also influence the height of a couch, or the sofa seat height. For instance, in modern spaces, the sleek designs and simple lines of low profile sofas fit best. 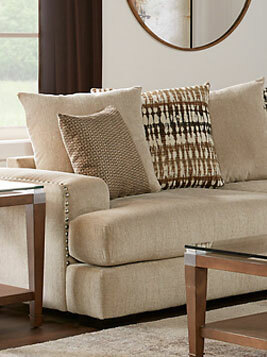 To create an illusion of space in smaller rooms, consider contemporary, 33- to 34-inch-tall couches. Sectionals and deep couches are often paired with lower backs to visually balance the otherwise large pieces. 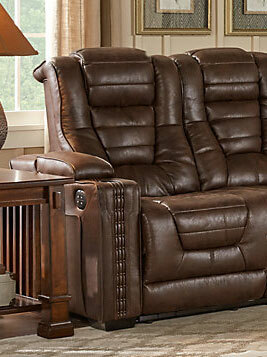 Alternately, traditional or classic sofas are meant to grab attention and dominate the room's landscape. Often, they have high backs paired with open bases to increase visual space. The height of your sofa should also be determined by the scale of existing or accompanying furniture. For example, don't pair tall couches with petite end or cocktail tables. Coffee tables average 16 to 18 inches tall and, as a general rule of thumb, should be one-half to two-thirds the overall height of the couch. Most end tables are between 22 to 30 inches high, and the tabletop should reach just below the sofa's arms. When placing a couch against a wall, be sure to include approximately five to nine inches of space between the top of the sofa and the bottom of any hanging artwork.